There is only one choice for Lexus service and auto repair in Truckee and Lake Tahoe, and that is the ASE-Certified auto mechanics at Quality Automotive and Smog. Lexus is the luxury line from Japanese automaker Toyota and is renowned for quality, style, safety, and performance. At Quality Automotive and Smog, we specialize in Lexus service and repair and are dedicated to providing excellent auto repair and service for these luxury vehicles. 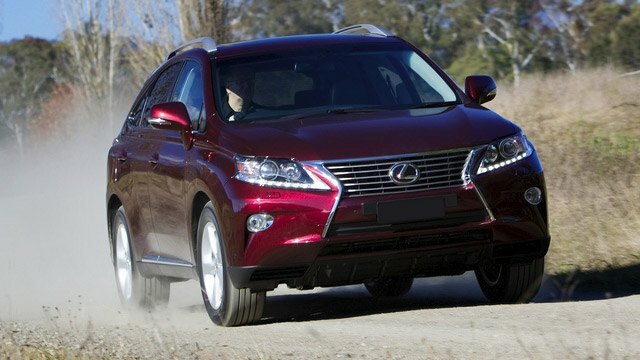 Lexus drivers are a distinguished group who know luxury and value. Whether your Lexus is a hybrid, car, or SUV, depend on Quality Automotive, and Smog to you keep your investment performing at its peak and able to take you on adventures for years to come. Our team of technicians is certified and required to attend over 40 hours per year of advanced training. This allows us to lay claim to being the leading in Truckee for repair service, preventative maintenance, and diagnostics for Lexus. We know you live a busy life so we perform a timely and efficient service that only a top-notch shop in Truckee can offer. Our commitment to excellence extends beyond servicing your vehicle. We make it our priority to ensure every customer is treated with the friendly and informative service they deserve. “Service was great! would recommend this place to anyone!” -- Liza S.
You will not find a more qualified, honest, and friendly auto repair shop than Quality Automotive and Smog in Truckee. Whether you live in Tahoe City, North Lake Tahoe, Kings Beach, Carnelian Bay, or beyond, we are your home team for all things Lexus auto repair and service. We are loyal to our customers and encourage you to take advantage of our ServicePlus Red Check program that includes an extended warranty, free local towing, seasonal benefits, and a dividend program. We are conveniently located at 11500 Donner Pass Rd, Unit D, Truckee, CA 96161. It’s easy to find us and easy to find a good cup of coffee, food, or a new pair of skis/bike nearby while we work on your car. In the summer, you may consider borrowing our electric bike to tour Donner Lake while you wait. Open Monday - Friday from 8:00 AM - 5:00 PM, and closed from noon to 1 PM. Request your appointment online today!